America is not so invincible as we’ve been led to believe. After nuclear attacks, thousands of survivors are forced to flee the country. The Smith family find themselves living in a camp in Mexico, crammed into rows upon rows of tents with other American refugees. Dignity is stripped, and basic necessities are almost impossible to come by. Emma’s unspeakable choices help keep them alive. Tensions within the camp are unlivable until a violent riot breaks out. Amid such horror, can they piece together enough hope to carry on? After nuclear attacks destroy America, one family is forced to flee and find themselves in a refugee camp in Mexico. Everything they know is gone and suddenly they are fighting to survive. I find the news stories about what’s happening with refugees all over the world upsetting and shocking to say the least. I think it was very brave of the author to write a book based on this problem and to bring awareness to something so tragic. The writing was fantastic - the author really knew how to grab your attention and not let go, in a way that pulls you right into the heart of the story. The characters were easy to connect and relate to. Character development was effortlessly crafted into the story, allowing us to fall in love with them. It was interesting to read about their backstories and why they are who they are in the story. I loved the way the author weaved the past and present, allowing us to really get to know the characters and see how the family arrived to this point. 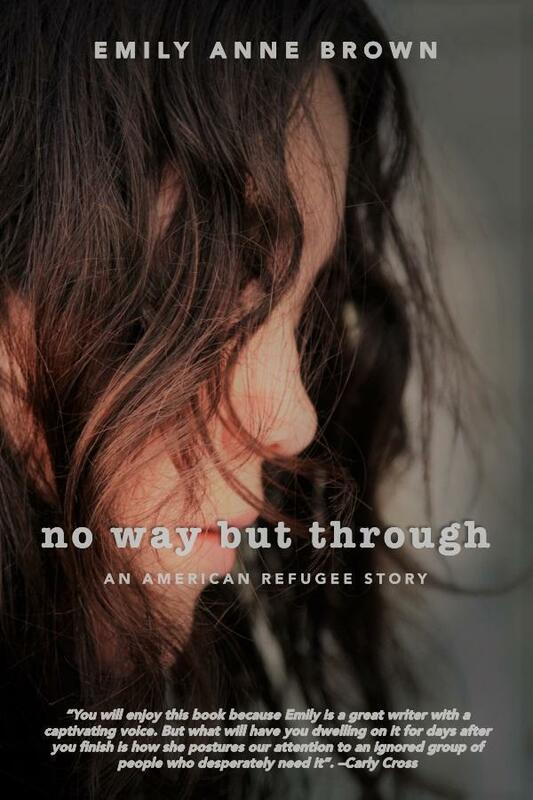 I recommend this book to anyone who wants to garner fresh insight on the refugee crisis. Someone who wishes to understand the plight of refugees and look into what they go through. A stalemate rose between two of the world’s most powerful nations. Nuclear weapons were researched, built, and flaunted. Treaties were signed to halt potential nuclear wars. A writer, George Orwell, called it a Cold War. It caught on. Almost forty-five years of tension and distrust. Everything was laced with the strain, from ballet and the arts, to politics and strategic military maneuvers. At the close of the Cold War, the United States signed a treaty with the USSR. Known as the Intermediate-Range Nuclear Forces Treaty, it required the destruction of each party’s ground-launched ballistic and cruise missiles with ranges from 500 to 5,500 feet within three years of the signing. It was the most detailed treaty in the history of nuclear arms control. When the USSR disbanded in 1991, the US pursued the implementation of the treaty with the former Soviet republics. For more than thirty years, the treaty has held, but over the last several, Russia and the United States have taken their turns in accusing each other of violating this treaty. Tensions are rising again. Chairman of the Joint Chief of Staff, Eric Richardson, paced around the Oval Office. He checked his watch. “Afraid so, Sir.” Richardson set his lips in a thin line. Perhaps it was Richardson’s tone that made the president look up from his phone. Their eyes locked. The president swore under his breath. The door opened, and the Chief of Staff entered, followed by the Communications Director, the Press Secretary, the National Security Advisor, and the Secretary of Defense. They all filled the couches in the center of the office. The room was silent. No one was surprised at this announcement. Some appeared annoyed. “We’ve been back and forth with these so-called threats for years. What makes you think there’s a real threat now?” The impatience in the President’s voice was palpable. “You’re suggesting they would actually go through with firing a nuclear missile at us?” The Communications Director started jotting notes. “Yes. I suggest we raise the Terror Alert to orange.” Richardson leaned against the desk, with his back to the president. “That’s the official party line, yes.” The president glared at Richardson from under bushy eyebrows. “Richardson, I’m going to need more reason to crank up the terror alert to orange. Yellow, maybe.” The Communications Director met his eyes, her hand still. An eerie, dark hush settled over the coffee shop in the pre-dawn hour. Emma stood just inside the door and could see the dull gleam of the spotless espresso machine, presiding over the long counter. She walked across the café and switched on a light behind the bar. Her coffee shop materialized around her. It’s hard-wood floors and white cinder block walls decorated with tin Texan stars and industrial bookshelves were all she had dreamt it would be. And was even better than her dreams. Emma cranked the music, Adam Larson and Co, from the back room and left her purse on the break table. She poured a measured amount of whole beans into the grinder and set a filter in the funnel. A slow smile spread over her face as she went through the familiar motions. The local baker’s arms were laden with boxes of the day’s fresh pastries. “Hey. Today’s special is strawberry fritters.” Rick set the stack on the counter. “You know my weakness for fritters.” Emma eyed the boxes. “I know. The small box on top is yours.” Rick thumped a fist on the wide, rough-hewn wood counter and turned to leave. “Thanks. Have a good day.” Emma pulled the top box off the stack and peeked inside. Four sugar-crusted fritters beckoned her with their sweet aroma. She hurried to arrange the other pastries in the glass case. She made a latte and took her fritters to the back room. Rick’s pastries were the last word in buttery, melt-in-your-mouth flakiness, and the perfect balance of sweetness and tartness from the strawberries. She savored every bite and took a sip of her latte. She jumped when her employee, Amy, came around the corner. “You’re the boss. You can do what you want.” Amy hung her purse on a hook in the wall. “Well, take one if you want.” Emma wiped her hands on a napkin and stood. Emma turned the music down to a reasonable volume and went out to turn on the rest of the lights and flip the “Open” sign on the front door.